Augmented Reality and Schools - What's Next? - Ariella Lehrer, Ph.D.
What determines if an EdTech product is successful? The criteria are daunting. (1) It must teach something faster or better than is possible otherwise. (2) It must be relevant to the curriculum and teachers’ needs. (3) It must be affordable and accessible to all schools and students. (4) Ideally, it engages the student through experiential, discovery learning rather than rote memorization. How hard is it to create this mythical piece of technology? Well nigh impossible, if looking at the wreckage of past innovations is any indication. I’ve written previously that the most successful attempts have been those hardware and software products that could be used by teachers in a flexible fashion, as tools to teach a variety of different subjects. Computers, tablets, Hypercard, Microsoft or Google office software, programming languages, graphics apps, etc. 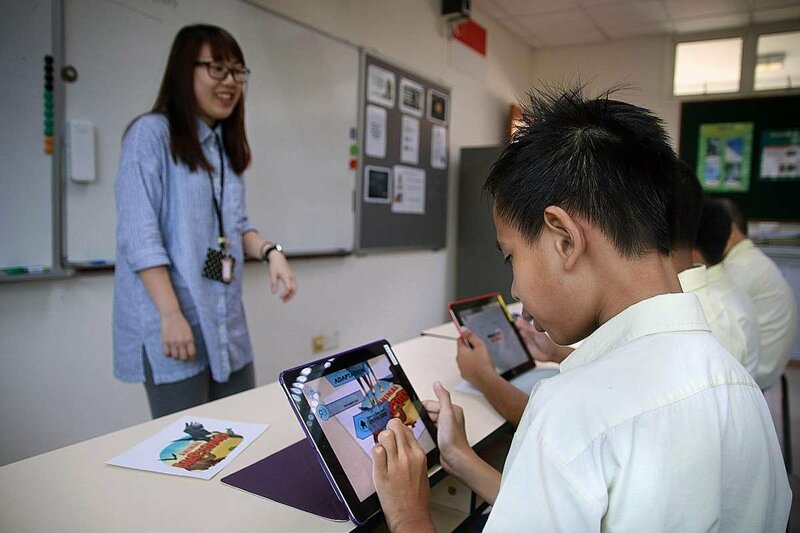 all make the list of successful technology innovations in classrooms. Their precise level of success, of course, depends on how well they are implemented in the classroom. Now Augmented and Virtual Reality are headed for the classroom. How are they faring? 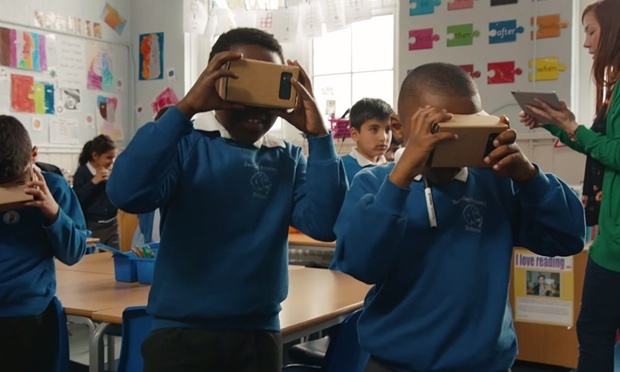 It is difficult to justify the use of VR in the classroom, given the cost of most hardware. And while Google Cardboard is affordable, it is limited to presenting pre-rendered visual experiences in 3D. Is it that much more effective than watching a YouTube video? I doubt it. 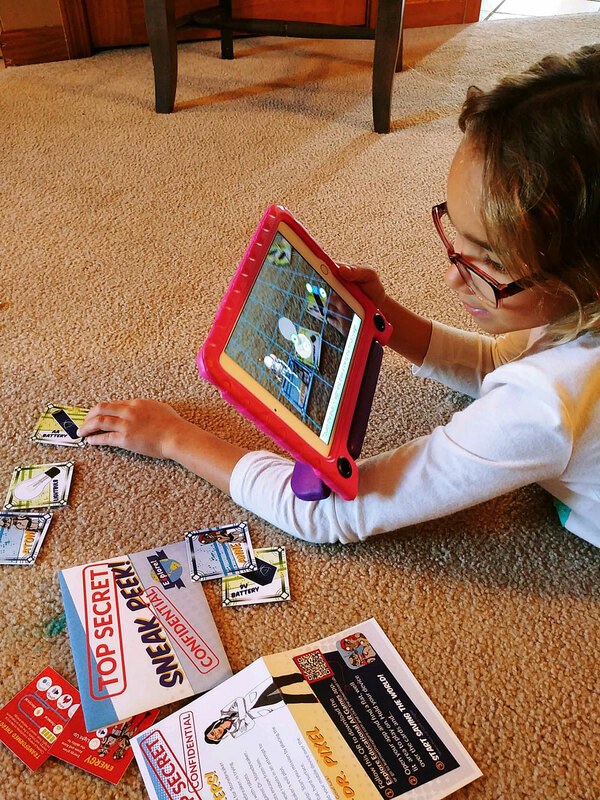 And what about Augmented Reality apps for the classroom? I’m admittedly more of a fan of AR than VR. In its best incarnation, AR incorporates the real environment as part of the experience rather than create an alternative world as in VR. Some types of AR are possible with low end mobile phones, so cost isn’t necessarily an issue. However, judged against the success criteria I listed initially, AR is sorely lacking. It is not clear that most of the curriculum based AR experiences are more effective than other teaching methods. And while there are some open-ended tools for creating AR experiences (e.g., Blippar, Zappar), they are focused on the consumer market, and not geared to school use. Eon Reality and Jig Workshop both have an authoring tool for teachers, but they are limited in what kinds of interactions are possible with pre-packaged 3D objects. Meanwhile, AR is being rapidly implemented in industry, with use cases that would be equally helpful in K-12 schools and colleges. 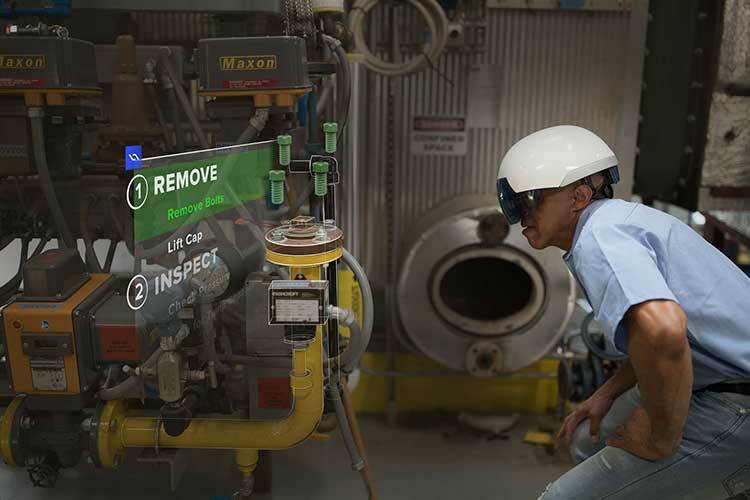 Businesses are challenged with training millennials to take the place of retiring Baby Boomers, and they are finding that Augmented Reality is the ideal tool for any kind of procedural learning. Workers are taught how to fix or assemble complicated equipment using step by step procedures that appear directly on machines. Similarly, workers are learning advanced manufacturing techniques, with operational guides turned into 3D displays. Real time collaboration as well as asynchronous communication are possible using AR, with the remote expert providing help and guidance by leaving messages or drawings in the relevant location for workers. How would that type of functionality fit into the classroom? Well clearly (and I’d like to be on the team that creates this), this mythical app would need to be designed specifically for schools, and include all the administrative, networking, and privacy functionality required. it would greatly facilitate distance learning. A remote or in-classroom teacher could look at what a student is working on, e.g., 3D printing, robot assembly, chem lab, shop, frog dissection, circuit builder, etc. and write or speak comments, displaying instructions directly on the objects in question, in real time or asynchronously. Alternatively, two or more students could work collaboratively, in the same location or remotely, using this AR technology. Some innovative developer is going to take the collaborative AR functionality being used successfully in industry today, and build a similar platform for high schools, technical schools, and colleges to engage the learner in new ways. I’d love to see a STEM-oriented tool for students to practice the engineering design process from problem to prototype while seamlessly collaborating and troubleshooting with the teachers and peers using AR. It’s coming, and I, for one, can’t wait for the future to get here! This entry was posted in Ariella's Blog Posts on November 28, 2018 by Ario.